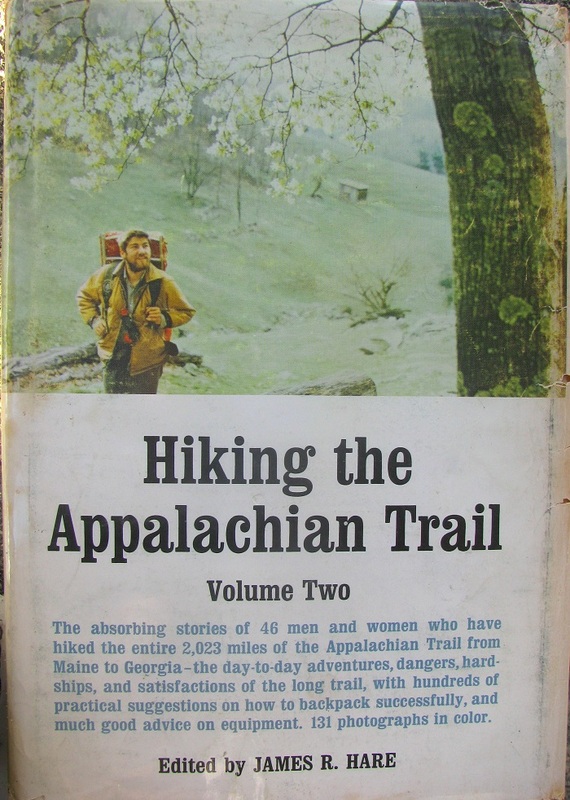 Heart and Sole: Review of Hiking the Appalachian Trail, James R. Hare, ed. 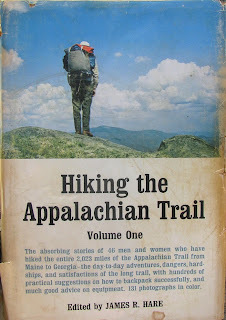 Review of Hiking the Appalachian Trail, James R. Hare, ed. At just under 2000 pages (almost five inches thick), these two hardback volumes are a real undertaking to read, yet I found nearly every page worth my while. This is a compendium of forty-six through-hike trail memoirs written by the hikers themselves. 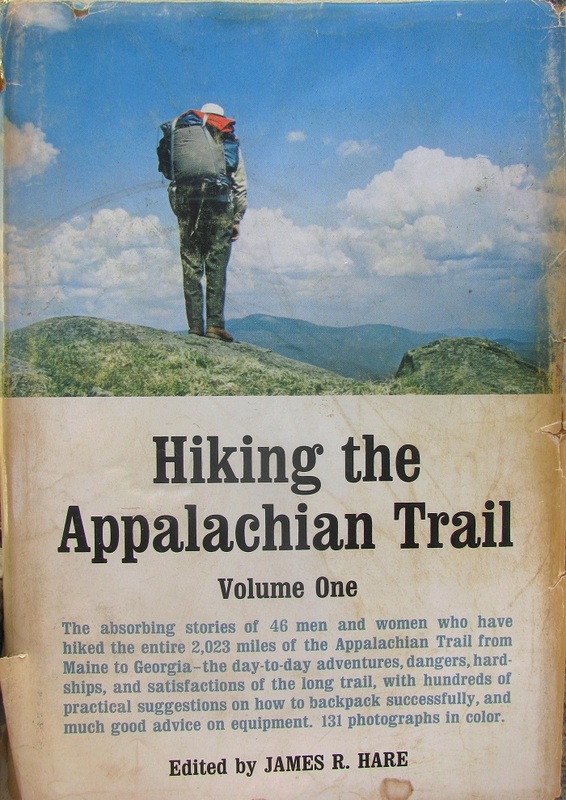 The list of authors is a veritable Who's Who of AT pioneers, including Grandma Gatewood who hiked the entire trail three times starting at age 66 wearing ordinary sneakers and carrying a denim sack slung over her shoulder. Then there's Dorothy Laker, who did the trail three times also--first in 1957. Dorothy hiked alone and relates some worrisome experiences but also many joyous ones. 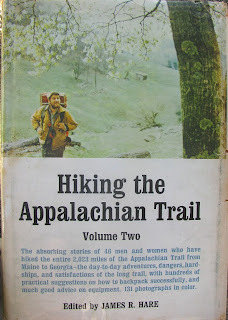 Other notables who contributed include Gene Espy, whose stand-alone book is still a good seller (Gene claims his 1951 trek was the second through-hiker of the trail. He still does speaking engagements.) There's Ed Garvey, active in trail circles for many years, who has a shelter named for him here in Maryland. And the last I'll mention by name--Eric Ryback--who (not without controversy) claims to have been the first to through-hike both the AT and the Pacific Crest Trail. The hikes covered range from Myron Avery's 1936 completion through the 1972 season. Writing styles are as varied as the characters who populate the trail itself. Some are lyrical, some technical, some fairly amateur, some very long day-by-day accounts, some short and well written summaries; but all were interesting because they relate memories that the writer clearly cherishes. One does not hike the entire Appalachian Trail without being changed by the experience. If you want a compendium that truly gets you in on the ground floor and fully immerses you in the history and flavor of the priceless institution that the Appalachian Trail has become, then this work is the definitive one, and worth the time to read cover-to-cover.